Sachin Tendulkar is known as the God of Cricket and it isn’t a surprise to know why. Sachin has broken every record in the game and maintained his clean image for decades. His son Arjun Tendulkar is also a cricketer, but he has received criticism for being played in the India U-19 cricket team. People trolled him maliciously by using words like nepotism. 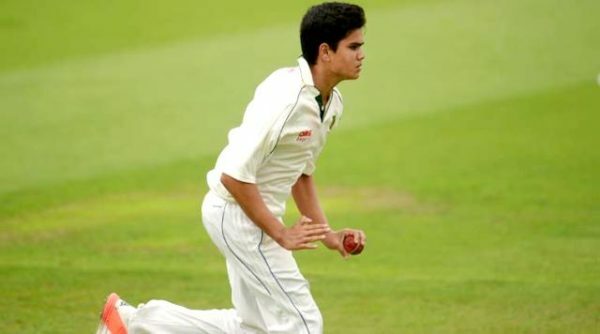 Arjun Tendulkar is indeed privileged but he continues to shut the mouth of critics with great performances. During the recent Test Match against Sri Lanka, Arjun Tendulkar woved everyone with his performance, bagging his first wicket in just 12 balls. India U-19 were playing the Sri Lanka U-19 at the NonDescript Cricket Club Ground, Colombo, and Arjun Tendulkar was handed the red cherry by the captain. In the second over he took the wicket of the strike batsman at the last ball of the over.